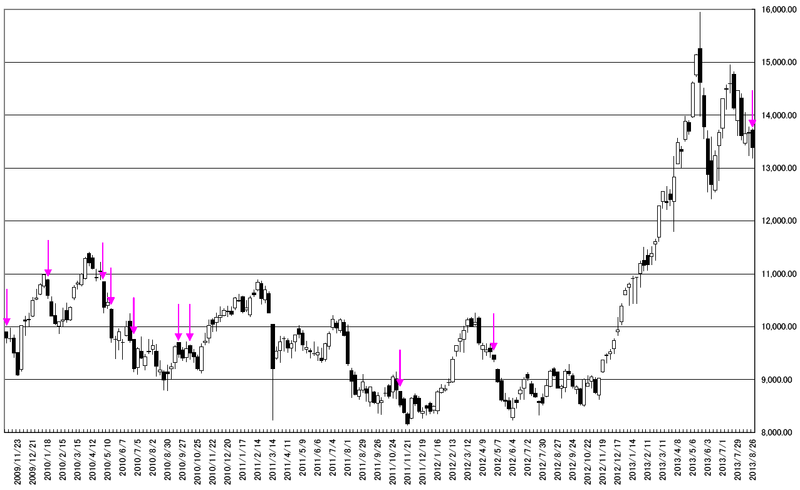 NIKKEI 225 Weekly; “HAGURO” No.12(13) formation; Bearish. In past 200 weeks, it appeared 10 times. But we need to notice the trend line; the market price cut the resistance line. And today’s candle stick is “Inside Day”. Our recommended tactics is confirming the direction of “Inside Day” (going lower). But we need to notice a sharp reversal. 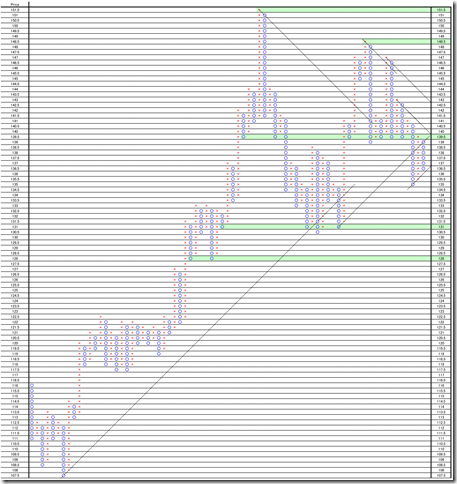 Dollar based NIKKEI 225 Daily; this market will be steadiness or bearish analyzing by P&F. 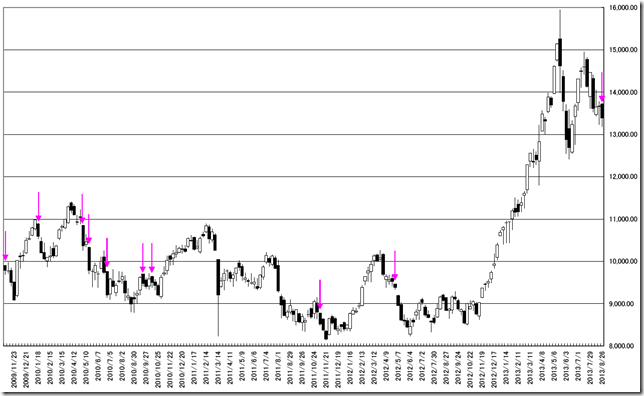 I calculate Nikkei 225 closed price and Dollar/Yen NY close price. We made the chart last day data. 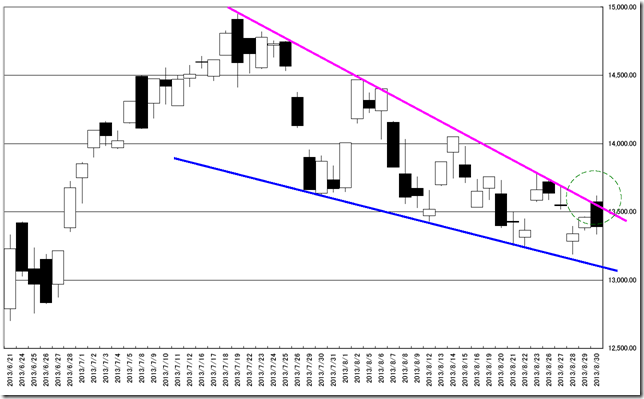 139.5point worked as the resistance point and re-fall. 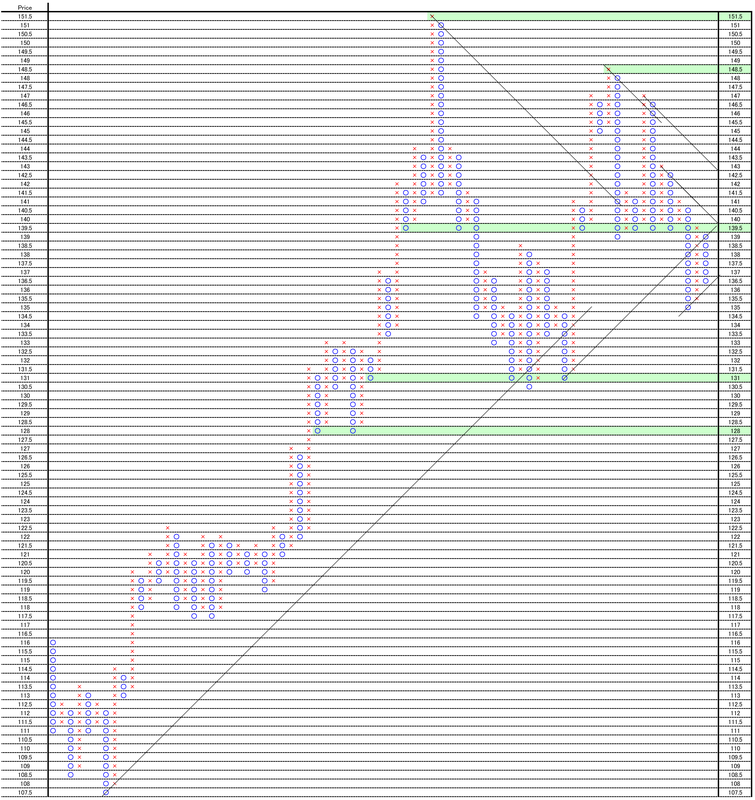 And this price will be the strong resistance point. We think the market price will reach the first half of 130 point.